Carbon Dioxide Removal (CDR) refers to actions that remove additional CO2 from the atmosphere on a net basis and secure it as some form of fixed carbon in the biosphere or geosphere. Although often viewed as a long-term climate stabilization mechanism, CDR is a scalable near-term mitigation measure as well as crucial for making a transition to a carbon-balanced (as opposed to "fossil-free") energy system. CDR is particularly important for addressing transportation-related CO2 emissions because of the high value that liquid hydrocarbon fuels have for mobility and the impracticality of capturing CO2 from tailpipes and jet exhausts. What distinguishes CDR from other climate protection strategies is that it is not about reducing emissions, i.e., decreasing the rate at which an activity emits CO2 down to progressively lower levels and eventually to zero (a "carbon neutral" state). Rather, it is about increasing the rate of negative emissions, i.e., going "beyond carbon neutral" to speed up the net downward flow of CO2 from the atmosphere into various forms of fixed carbon. As such, it is a crucial complement to all of the essential efforts to reduce the upward flow of CO2 and other GHG emissions. 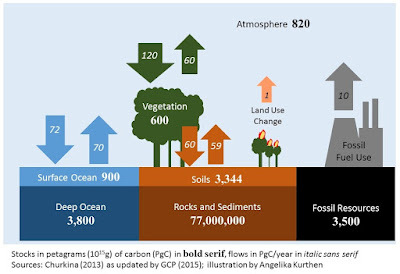 A well-known example of CDR is reforestation, which by itself can increase the negative emissions rate for some decades but not necessarily permanently. Although not usually seen in this light, bioenergy is helpful only if it involves CDR. For example, biofuel use does not reduce CO2 emissions in the transportation sector and so any benefit depends on whether producing a biofuel's feedstock increases the rate at which CO2 is removed from the atmosphere in other sectors. At present, CDR is under-researched, under-developed and under-appreciated by policymakers and the public. No coherent science, technology and policy strategy exists to systematically pursue CDR on a par with the efforts underway to reduce emissions. The Center for Carbon Removal at U-C Berkeley is educating policymakers and others about the opportunities for CDR, and at the University of Michigan, the U-M Energy Institute's Beyond Carbon Neutral initiative will conduct interdisciplinary research to develop and evaluate CDR options as well as pursue partnerships to help bring them into fruition.